Welcome to the Interuniversity Research Centre on Globalization and Work Website! 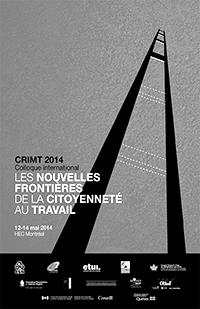 (CRIMT, from its French equivalent Le Centre de recherche interuniversitaire sur la mondialisation et le travail). CRIMT is an interdisciplinary and interuniversity research centre which focuses on the theoretical and practical challenges of institutional and organizational renewal in the areas of work and employment in the global era. Drawing on more than 135 researchers from fifteen Canadian universities and thirty research institutes and universities in a dozen other countries, its three founding institutions are Université de Montréal, Université Laval and HEC Montréal. 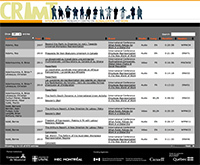 CRIMT receives major grants from the Social Sciences and Humanities Research Council of Canada (through its Partnership Program) and the Fonds de recherche du Québec - Société et culture (Strategic Clusters Program). The CRIMT Partnership Project on Institutional Experimentation for Better Work, bringing together the Interuniversity Research Centre on Globalization and Work (CRIMT) and an international network of associated partner centres and researchers, will host of an international conference on What Kind of Work for the Future? Disruption, Experimentation and Re-/Regulation. 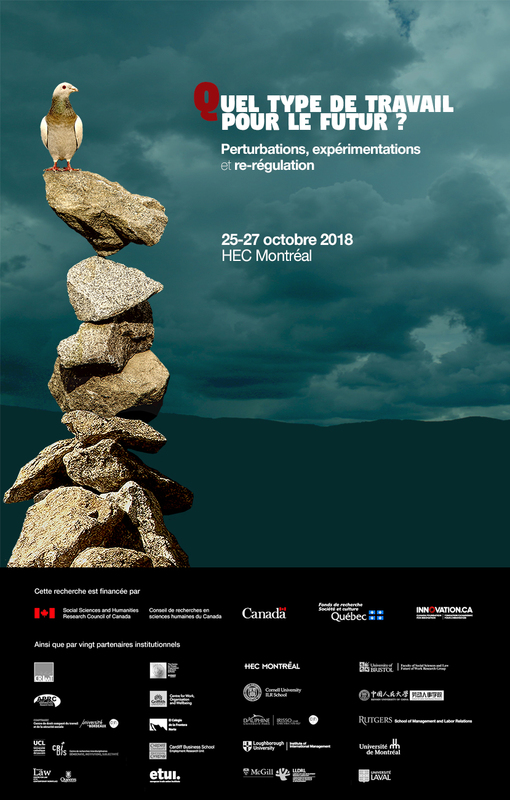 This conference will take place at HEC Montréal (Montreal, Canada), from Thursday October 25 to Saturday October 27, 2018. 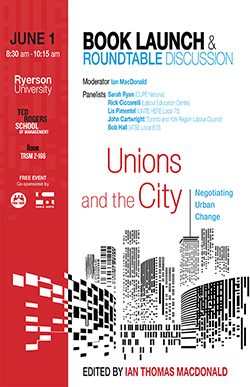 This conference will feature original academic and practitioner contributions on two linked themes: how major fault lines of change are disrupting and re-ordering the regulation of work and employment and how these processes are leading to organizational and institutional experimentation. The conference intends to respond to a number of key challenges: First, to aggregate our understanding of major fault lines of disruption, such as the rise of digital technologies and platforms, the reconfiguration of global production networks and the transformation of identities and values, and engage both researchers and world-of-work actors about these disruptions. Second, to identifiy and explore different instances and processes of experimentation and re-regulation that aim at dealing with these perturbations, once again promoting shared learning by both research and practitioner communities. Third, to identify the practical and policy implications of these disruption and experimentation processes, both in terms of what makes for better or worse workplaces, communities and societies and of the sets of skills different types of actors might draw upon to make a difference. Bringing together four panels of leading international speakers, more than 250 researchers from 21 countries whom will present their research results in about 40 thematic workshops, and a special one-day Community Forum designed to stimulate reciprocal exchange and shared learning between researchers and world-of-work actors, this conference will feature some of the world's leading researchers on work and employment, draw on a variety of disciplinary expertise, mobilize a wide range of world-of-work actors and stakeholders and offer a unique learning forum for graduate students and promises to be a highly stimulating event. Researchers, policy makers, labour market practitioners from Canada and abroad are invited to take part in this important, timely debate. NOTE: The conference program and registration portal will be available soon. Abstract: In mid-2007, just before the Prime Minister Howard Liberal Party and National Party coalition conservative Government was defeated at the polls, the Parliament created the Workplace Ombudsman which later became the Fair Work Ombudsman. 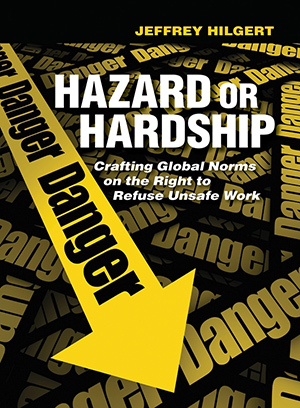 In an endeavour to placate opponents of its deregulated labour laws, the Howard Government’s Fair Work Ombudsman was designed to enforce wages and terms and conditions of employment as specified in awards and agreements. A decade on, the Fair work Ombudsman has become the pre-eminent protector of workers’ wages, and especially of vulnerable workers. In spite of being given no particular mandate to do this, the office has taken particular interest in the plight of migrants and overseas students. In this seminar, we will outline the history of the enforcement of wages under Australia’s classical conciliation and arbitration system. Originally only trade unions could enforce awards. However, in 1930, the Government appointed arbitration inspectors. With the advent of globalisation and the deregulation of Australian labour, trade union membership declined, and there was less capacity for trade union enforcement. We shall discuss arbitration inspectoral enforcement under the deregulated labour laws from 1996 -2007 and examine the work of the Fair work Ombudsman in investigating complaints and taking curial action to penalise recalcitrant employers and recover back-pay. 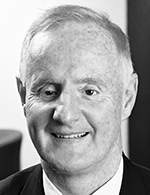 After scandals concerning the underpayment of migrant workers and in franchises like the seven-11 chain of convenience stores, the Australian Parliament, somewhat reluctantly passed the Fair Work Amendment (Protecting Vulnerable Workers) Act 2017. This increased penalties and expanded the powers of the Fair Work Ombudsman. We will conclude with some comments on broader protections available to migrant workers injured or abused in the course of employment. Where: Room C-3061, Carrefour des arts et des sciences (Pavillon Lionel-Groulx, 3150 rue Jean-Brillant), Université de Montréal. NOTE: For those unable to attend this seminar in person, please note that as a pilot project, and technologies willing, we will make a live broadcast on the new CRIMT YouTube Channel. This is also under the category of experimentation. Summary: The paper analyses industrial relations change in the six largest EU countries since 1992 in relation to increased internationalisation pressures. Based on qualitative and quantitative analysis, it distinguishes between associational and state governance, and detects that despite a predominant, but not universal, trend of weakening trade unions and collective bargaining, no overall liberalisation has occurred in the political regulation of employment (employment policies, welfare state, labour law, state support to collective bargaining, public sector). The implication is that, against portrayals of one-dimensional neoliberal convergence, economic internationalisation interacts with state-specific political institutions and even provokes their reaction and tightening. 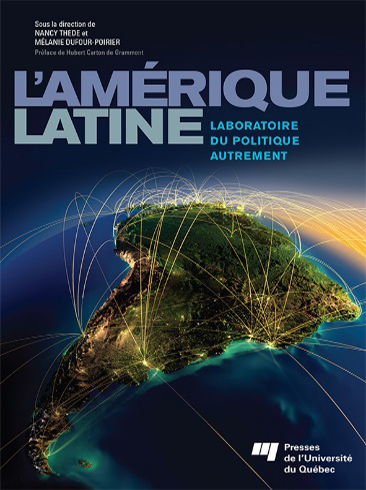 Where : Room 411-28 (CRIMT Offices), Pavillon 3744 Jean-Brillant, University of Montreal. 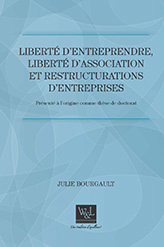 Liberté d'entreprendre, liberté d'association et restructurations d'entreprises. Au cours des dernières décennies, les restructurations d’entreprises ont connu une transformation majeure. En plus des restructurations ponctuelles, de type «crise» dans des secteurs de l’économie en déclin, il est possible de constater des restructurations de type «permanent» dont l’objectif principal est la quête de profit et l’augmentation de la productivité de l’entreprise. Perçus comme nuisibles à la rentabilité des entreprises, la syndicalisation, la négociation collective et les moyens de pression, poussent ainsi certaines entreprises à se restructurer. Les restructurations d’entreprises, produit de l’exercice de la liberté d’entreprendre, impliquent des conséquences importantes sur l’emploi des travailleurs, en plus d’affecter à bien des égards leur liberté d’association. 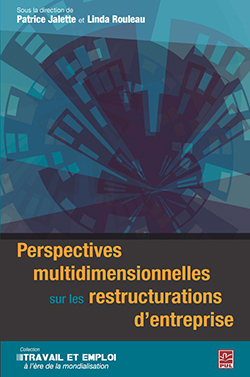 Dans cette perspective, cet ouvrage propose une lecture plus cohérente de la liberté d’entreprendre et de la liberté d’association dans le contexte de restructurations d’entreprises. Les différentes théories du droit s’accordent quant à l’importance de la cohérence du système juridique tant à l’interne qu’à l’externe. L’essentiel de l’analyse de l’auteure repose, en conséquence, sur un souci de cohérence du système juridique lors de l’affrontement des libertés d’entreprendre et d’association dans le cadre de restructurations d’entreprises. Dans un premier temps, l’auteure présente la juridicité et de la normativité de ces principes du droit à travers l’analyse de leurs fondements et de leur encadrement législatif. Dans la deuxième partie de l’ouvrage, les principes de liberté d’entreprendre et de liberté d’association sont analysés dans le cadre de restructurations d’entreprises. D’une part, l’auteure démontre, à travers une étude détaillée de la jurisprudence en matière de restructurations d’entreprises, la mainmise de la liberté d’entreprendre sur la liberté d’association. D’autre part, l’auteure suggère que le principe de cohérence du système juridique devrait nous amener à une interprétation plus large de la liberté d’association afin de respecter la hiérarchie des droits et d’autres principes généraux du droit, tels que l’égalité, la dignité et la bonne foi, et ce, même si cette interprétation a parfois pour effet de restreindre la liberté d’entreprendre dans le contexte de restructurations d’entreprises. At the beginning of the twenty-first century the term 'privacy' gained new prominence around the world, but in the legal arena it is still a concept in 'disarray'. 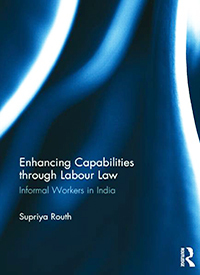 Enclosing it within legal frameworks seems to be a particularly difficult task in the employment context, where encroachments upon privacy are not only potentially more frequent, but also, and most importantly, qualitatively different from those taking place in other areas of modern society. 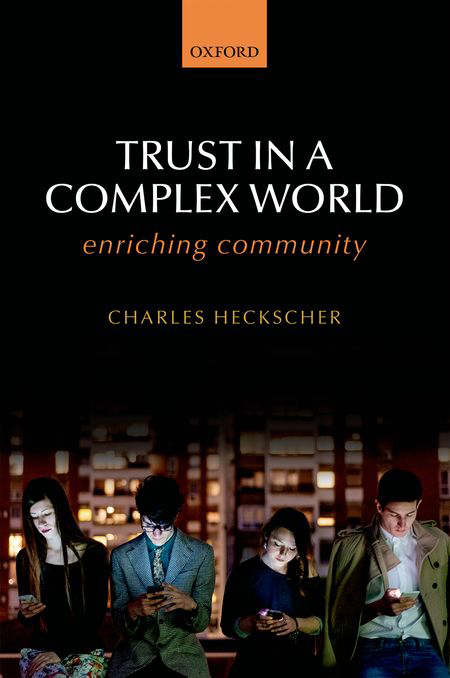 This book suggests that these problems can only be addressed by the development of a holistic approach to its protection, an approach that addresses the issue of not only contemporary regulation but also the conceptualization, adjudication, and common (public) perception of employees' privacy. 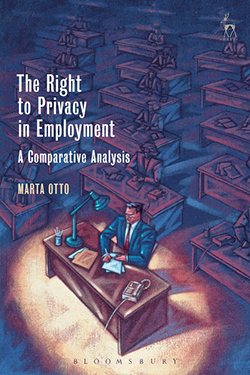 The book draws on a comprehensive analysis of the conceptual as well as regulatory convergences and divergences between European, American and Canadian models of privacy protection, to reconsider the conceptual and normative foundations of the contemporary paradigm of employees' privacy and to elucidate the pillars of a holistic approach to the protection of right to privacy in employment. The standard approach to regulating working hours rests on gendered assumptions about how paid and unpaid work ought to be divided. 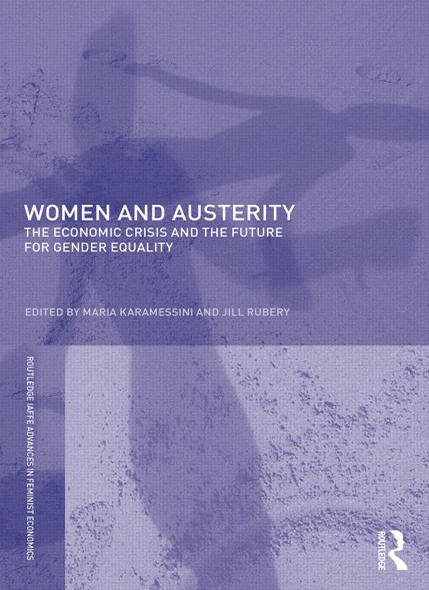 In this book Ania Zbyszewska takes a feminist, socio-legal approach to evaluate whether the contemporary European working-time regimes can support a more equal sharing of this work. 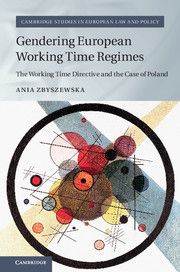 Focusing on the legal and political devel- opments surrounding the EU Working Time Directive and the reforms of Poland’s Labour Code, Zbyszewska reveals that both regimes retain this traditional gender bias and suggests the reasons for its persistence. 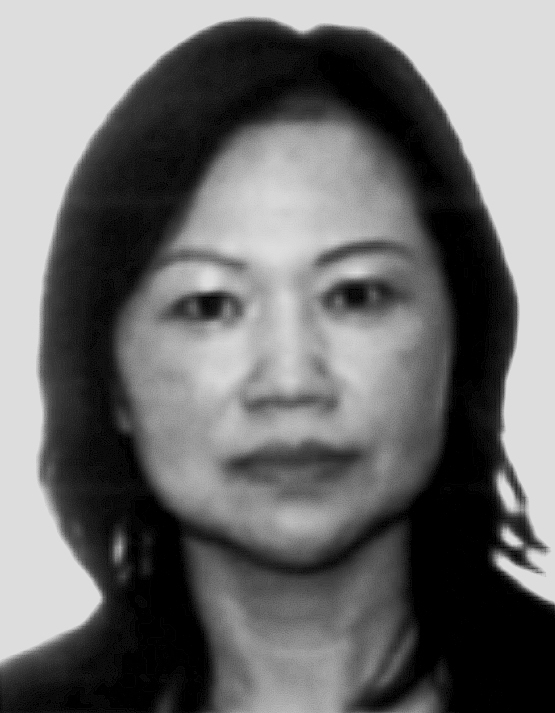 She employs a wide range of data sources and uses the Polish case to assess the EU influence over national policy discourse and regulation, with the broader transnational policy trends also considered. 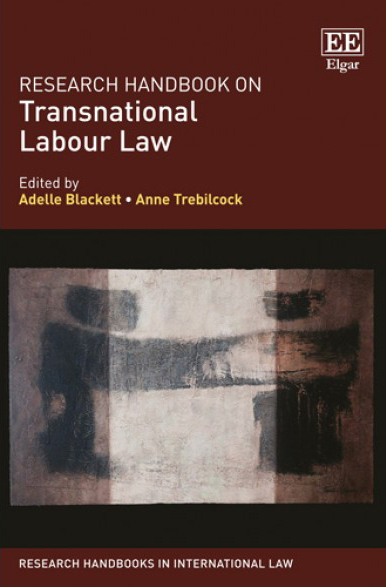 This book combines legal analysis with social and political science concepts to highlight law’s constitutive role and relational dimensions, and to reflect on the relation- ship between discursive politics and legal action. 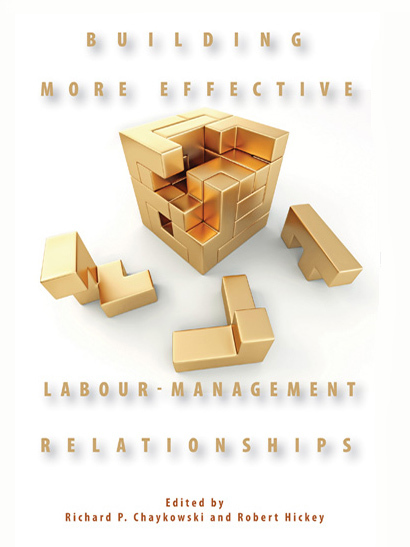 This paper discusses an internationally comparative approach to employment relations research. We start with the Varieties of Capitalism concept (VoC), and argue that it provides a useful initial framework for thinking about how to compare national employment relations systems. We reassess the VoC framework in light of the evidence summarised in the twelve country-specific chapters in the 6th (2016) edition of our book – International and Comparative Employment Relations. We argue that while our analyses provide evidence that supports aspects of the VoC approach, they also help to identify some of the limitations of this approach. We further illustrate these limitations by highlighting some of the increasing within-country differences that we found between countries, including the rise in non-standard work, dual patterns of employer coordination, and outsourcing and organisational fragmentation. This leads us to argue for an internationally-comparative approach that goes beyond simple models and that is capable of capturing a broader range of factors which reflect the connections between national economies as well as industry sector level features that shape employment relations. This seminar will start at 12:00 and take place in Room 415 (4th floor) of the 3744 Jean-Brillant Building, at Université de Montréal. 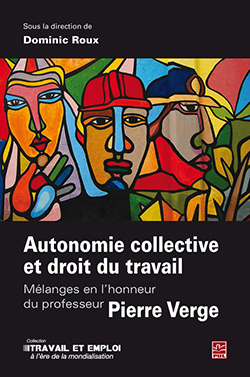 The third Pierre-Verge Conference, which took place on January 22nd, 2015, followed the publication of the book Autonomie collective et droit du travail. 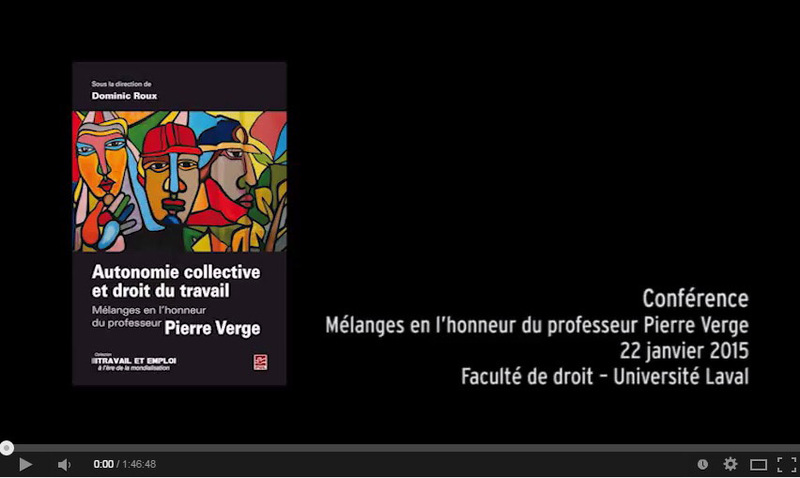 Mélanges en l'honneur du professeur Pierre Verge (Collective Autonomy and Labour Law. Essays in Honour of Professor Pierre Verge) (PUL, 2015). This book features twenty chapters on collective autonomy, a theme which was at the heart of this great jurist’s contribution and illustrious career. Professor Guylaine Vallée (University of Montreal) presented her thoughts on plus de cinquante ans de recherche : la contribution de Pierre Verge à l’affirmation et à la recomposition du droit du travail (More than Fifty Years of Research: Pierre Verge's Contribution to the Affirmation and the Recomposition of Labour Law). Then, Professor Sylvio Normand (Laval University) shared his thoughts on Pierre Verge, doyen de la Faculté de droit de l’Université Laval (1973-1977) : un décanat de développement et de consolidation (Pierre Verge, Dean of the Faculty of Law at Université Laval (1973-1977): A Deanship of Development and Consolidation). Both have contributed as authors to the book. 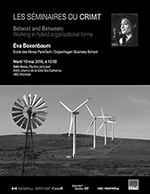 Click on the image below to watch the Conference (in French). 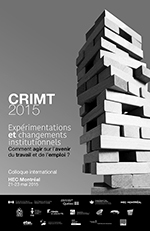 The 3rd Pierre-Verge Conference is a joint presentation of CRIMT and the Faculty of Law at Université Laval. La contribution scientifique de Pierre Verge à l’affirmation et à la recomposition du droit du travail • Guylaine Vallée 2. Un décanat de développement et de consolidation • Sylvio Normand 3. Autonomie collective et pluralisme juridique : Georges Gurvitch, Hugo Sinzheimer et le droit du travail • Michel Coutu 4. 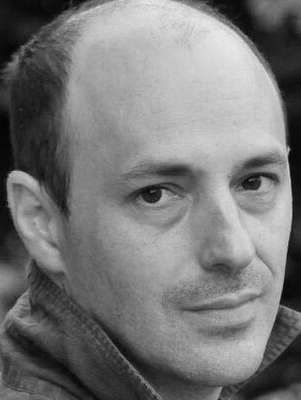 Corporatism, Neo-Corporatism, and Freedom of Association • Adrián Goldin 5. Le syndicat obligatoire au Québec : une contrainte individuelle à la faveur de l’autonomie collective • Pierre Verge, Christian Brunelle, Anne-Marie Laflamme, Dominic Roux 6. « La convention collective lie tous les salariés... » mais, sans les ligoter ! (art. 67 C.t.) Me Fernand Morin 7. La solubilité de la convention collective dans son environnement normatif : quelques réflexions sur une mutation institutionnelle L’honorable Louis LeBel 8. 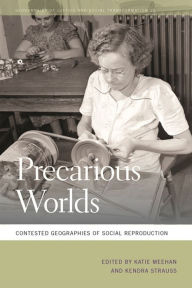 Regulating Strikes in Essential (and Other) Services after the “New Trilogy” Bernard Adell † 9. 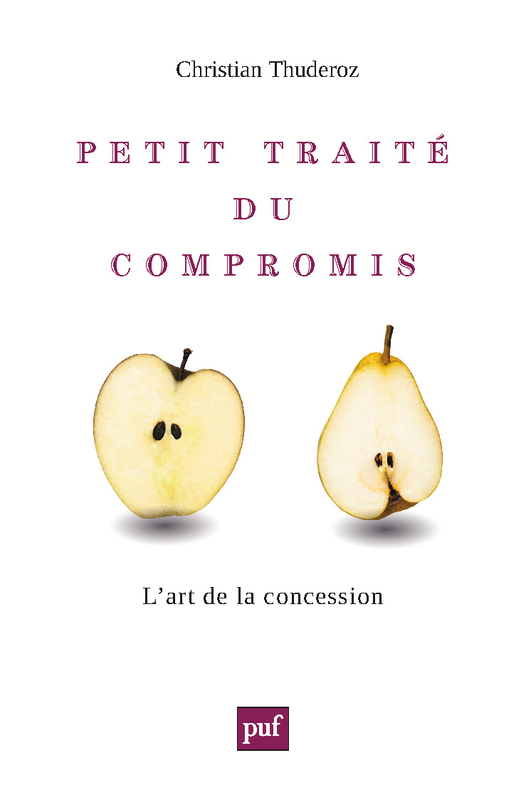 L’arbitrage de grief et le développement de la spécificité du droit du travail : une contribution reconnue Denis Nadeau • 10. Embracing Collective Rights: Unions and the New Struggle for Relevance and Autonomy—A View fromthe Commonwealth Caribbean • Rose-Marie Belle Antoine 11. 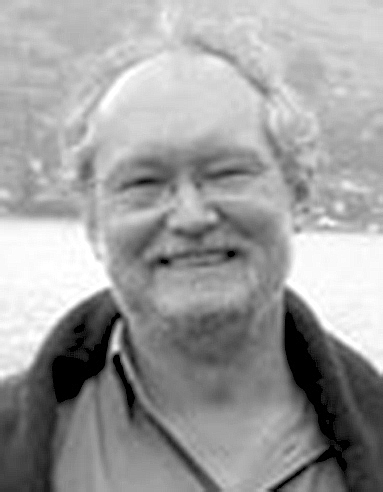 Collective Autonomy in New Zealand • Paul Roth 12. Social Partners’ Autonomy and its Limits. A Polish Perspective • Michal Sewerynski 13. Le droit français du travail est-il toujours un droit de protection des salariés ? 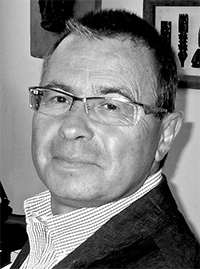 • Jean Pélissier 14. Les tribunaux judiciaires et les conflits collectifs de travail en Amérique latine • Héctor-Hugo Barbagelata 15. La détermination des conditions collectives de travail dans l’entreprise au Japon : le règlement intérieur et la modification des conditions de travail • Yasuo IshiI 16. The Wagner Model and International Freedom of Association Standards • Lance Compa 17. Strike Ban for Public Servants in Germany—an International Anachronism • Udo R. Mayer 18. L’autonomie collective, élément clé du travail décent des travailleuses et travailleurs domestiques • Adelle Blackett 19. 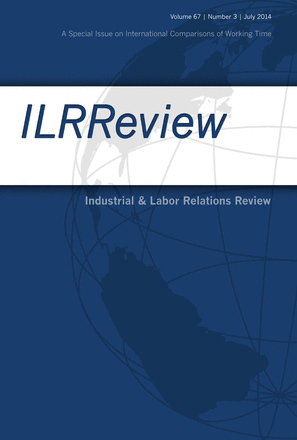 The New Public and Private International Labour Regulations and Their Implementation Experiences • Pablo Lazo Grandi 20. Organisations nouvelles du travail et représentation collective des travailleurs • Jean-Michel Servais 21. This working paper is a research product of the ETUI. Workplace representatives: strategic actors of union renewal? Freedom of Association in Private Transnational Law: How Enforceable are the Commitments of European Countries in North America? Matthew Finkin, Sanford Jacoby • Introduction Kevin Banks, Elizabeth Shilton • Corporate Commitments to Freedom of Association: Is There a Role for Enforcement Under Canadian Law? James J. Brudney • Envisioning Enforcement of Freedom of Association Standards in Corporate Codes: A Journey for Sinbad or Sisyphus? Alvin L. Goldman • Enforcement of International Framework Agreements Under U.S. Law Lance Compa, Fred Feinstein • Enforcing European Corporate Commitments to Freedom of Association by Legal and Industrial Action in the United States: Enforcement by Induatrial Action Dimitris Stevis, Michael Fichter • International Framework Agreements in the United States: Escaping, Projecting, or Globalizing Social Dialogues? Marc-Antonin Hennebert, Peter Fairbrother, Christian Lévesque • The Mobilization of International Framework Agreements: A Source of Power for Social Actors? 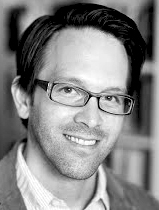 Gregor Murray • Can Multiple Weak Ties Reverse the Social Regulation Deficit? 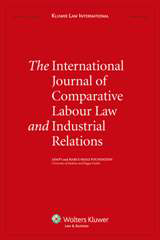 Multinational Companies and Labor Regulation Rüdiger Krause • International Framework Agreements As Instrument for the Legal Enforcement of Freedom of Association and Collective Bargaining? The German Case Christopher D. Pigott • Freedom of Association in Private Transnational Law: How Enforceable Are the Commitments of European Companies in North America? NEW : Search by keywords to locate specific content in CRIMT's Multimedia Database. To watch or listen to all the excerpts from a particular session (workshop, roundtable, plenary), type the session's code (right column) in the search field. Christian Dufour and Adelheid Hege are recognized as leading experts in the field of union representation. 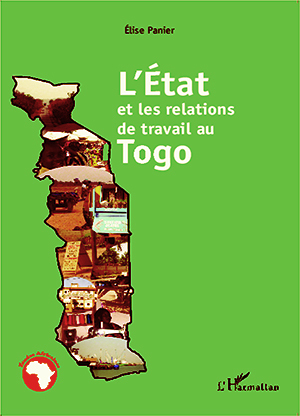 Their comparative research on everyday collective representation – conducted as part of the scientific program of the Institut de recherches économiques et sociales (IRES) – has resulted in numerous publications on trade unionism and its renewal. 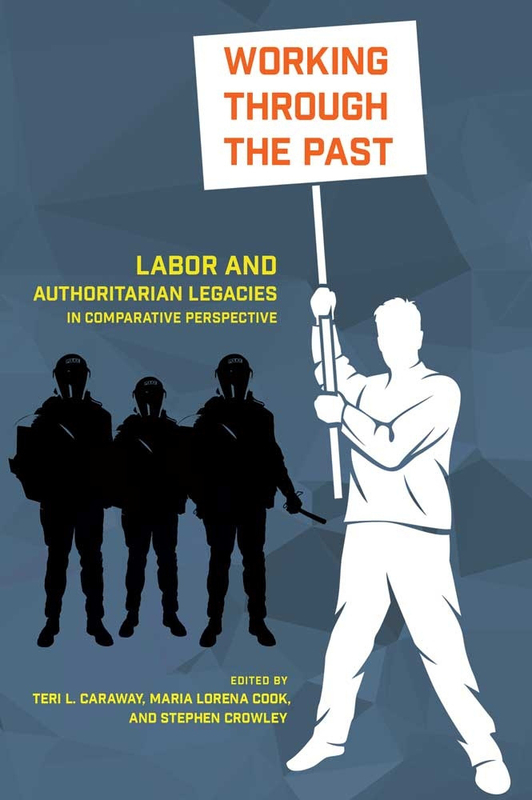 This conference drew on long-term observations of labour relations and labour relations actors in the European context. Their extensive fieldwork has, over time, resulted in the development of a number of hypotheses about the sociological foundations of collective employee representation. These hypotheses continue to be refined and tested, especially in the face of profound changes that have occurred since the 1980s, not only within the actors’ environment, but also to the actors themselves. This seminar was held at the University of Montreal. Click on images (on the right) for conference and Q&A . The 2011 World Health Organisation/World Bank report on disability showed that 15% of the world's population, approximately one billion people, are persons with disabilities. Approximately 80% live in developing countries, and in most nations disability is synonymous with poverty. One of the hallmarks of citizenship is employment or self-employment. Work not only enables us to earn remuneration to support ourselves and our families, but it enables us to contribute to the growth of our nation through the utilisation of our skills. Yet in countries like Canada and Australia, persons with disabilities are a forgotten cohort. This is because our levels of employment or of self-employment are far lower than is the case with other groups, except perhaps for first nations peoples. In a 2009 OECD background paper, it is noted that the employment rate of persons with disabilities and health problems in the thirteen countries under study was 40% which is slightly over half the general employment participation rate which was close to 75%. Not until the levels of employment and of self-employment are improved for persons with disabilities will most disabled persons attain full and meaningful citizenship. In this presentation, first, I shall examine article 27 of the United Nations Convention on the Rights of Persons with Disabilities (CRPD) which exhorts governments to implement programs to facilitate the undertaking of work in the open labour market by persons with disabilities. Second, as a Vice-Chairperson and the immediate past Chairperson of the United Nations Committee on the Rights of Persons with Disabilities (CRPD Committee), I will detail the experiences of this monitoring body on the employment of persons with disabilities. Finally, a brief exploration of the work undertaken by the ILO on the employment of persons with disabilities will be undertaken. In particular, the ILO Convention 159 on Vocational Rehabilitation and Employment (Disabled Persons) 1983, and the Code of Practice – Managing Disability in the Workplace, 2001, will be discussed. On October 25, 26 and 27, 2012, CRIMT and its partners held an international conference on Union Futures, which focused on the innovations, strategies and changes implemented by local, national and transnational unions. The conference was organized around two main activities: 1) a Forum on Union Innovation, which took place on October 26, 2012 and brought together trade unionists and university researchers and 2) two Study Days, during which more than one hundred and fifty leading international researchers presented the results of their latest research on union strategies and innovations (25 and 27 October, 2012). Visit the Multimedia Compendium to watch the full audio-video content of the conference (about 250 presentations and a hundred hours of content). L’entreprise peut-elle être observée comme une institution sociale ? Nous l’avons affirmé en d’autres temps, alors que l’on pouvait déceler les signes de la « réhabilitation de l’entreprise » dans la société. Nous le réaffirmons aujourd’hui, en dépit d’une conjoncture adverse dans laquelle la firme est soupçonnée d’avoir sacrifié à la fois sa « forme » et son « âme ». A cette fin, nous remontons aux sources de la théorie de la firme : par-delà le couple hiérarchie / marché, on y retrouve le fil rouge d’une analyse qui postule la nature foncièrement sociale de l’activité économique. Toute une série de questions-clés resurgissent : la singularité des échanges dans l’entreprise en réseau ; l’attachement des firmes à des « régimes » particuliers du capitalisme ; les enjeux politiques sous-jacents au contrôle des firmes. Poursuivant sur cette voie, on réalise qu’il reste bien des « ressorts » à l’entreprise-institution d’aujourd’hui. 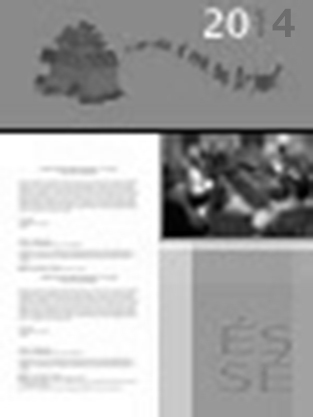 Download the PowerPoint presentation (In French). Click on images (on the right) for conference and Q&A (In French). Given that Capitalist Exploitation in Work and Employment Continues, How Are Workers Responding? A survey of how workers are responding to continued exploitation and oppression suggests that there is limited innovation in forms and expression of conflict at work in the global north. Consequently, the efficacy of defending and advancing is declining. By contrast, in the global south workers are learning and deploying not only the historical tactics of workers in the global north but also developing some new techniques and tactics. This suggest that the direction of knowledge should be from the south to the north in the transnational workers' movement. Click on images (on the right) to watch the conference and Q&A . Nous sommes nombreux à partager l'intuition d'une affinité élective entre 'mondialisation' et 'pluralisme juridique' ( P.J. ). Mais il y a plusieurs manières de comprendre et de problématiser cette affinité. À partir de la sociologie, le P.J. se conçoit comme la manifestation d' une crise radicale du droit moderne induite par la mondialisation. À partir de la science juridique, la mondialisation se conçoit, à l'inverse , comme le produit de la mobilisation du droit moderne portée au niveau mondial. À partir du droit public, le P.J. 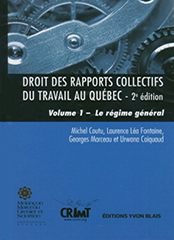 est celui des sources formelles ou informelles de droit objectif promues ou reconnues par les institutions étatiques et interétatiques. À partir du droit privé, le P.J. est celui des modes de création des droits subjectifs par et pour les opérateurs transnationaux; il est impulsé notamment par une extension et une adaptation des techniques du contrat et de la personnalité morale. 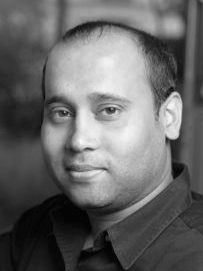 Techniciens de l'ombre ou intellectuels organiques, les juristes qui se mettent au service des acteurs de la mondialisation sont les nouvelles élites de la pratique et de la théorie du droit. À leurs yeux, le P.J. n'est plus une hétérodoxie sociale, mais la nouvelle orthodoxie de la science du droit. The German Labour Market After The Financial Crisis: Miracle or just a good policy mix? In the wake of the financial crisis, the German economy experienced its most severe slump since the Second World War. However, the effects on the labour market were different from those experienced in all other previous economic crises. Employment did not decline as expected and unemployment did not rise. Moreover, youth unemployment did not increase, in contrast to experience in virtually all other European countries. This paper sets out to investigate this German employment ‘miracle’. 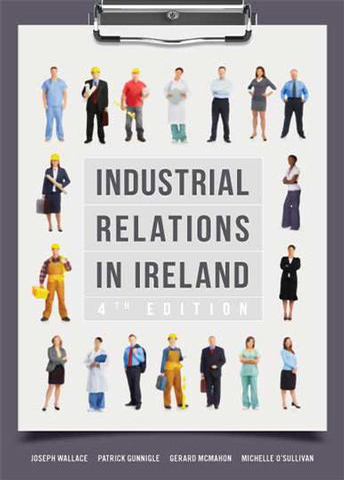 It will be shown that state-subsidised short-time working arrangements were not alone in preventing a collapse in unemployment but that a key role was also played by several other working time instruments incorporated into collective agreements concluded between trade unions and employers. Nor should the role of the parties to collective bargaining in avoiding an increase in youth unemployment be overlooked either. “Dismissing hours and not workers” a recession can maintain production potential and speficic skills, avoid long-term scar effects of unemployment, reduce excessive demands on labour market policy through a massive increase in unemployment, and strengthens social cohesion. Click on image (on the right) for conference and Q&A (In French). The shop steward is a corner stone of the Danish Industrial Relations (IR) model. Shop stewards are the main drivers for cooperation at the company level and the importance of the role of the shop steward has further increased in the context of the decentralization of collective bargaining. In this conference, Steen Navrbjerg presents the Danish model of industrial relations and show how the Danish system has managed to change from a centralized to decentralized system, without losing shop stewards’ interest and motivation in the process. Click on image (on the right) to watch the conference. This presentation put emphasis on strategy implementation as the focal construct in strategic HRM. It started with a discussion of HR-related challenges multinational corporations (MNCs) are facing in the dynamic and highly competitive global marketplace. Then, focusing on global talent management, it explained how the fit between the global HR architecture and the strategic business processes can enhance the effectiveness of MNCs’ strategic responses to the identified challenges. Le droit du travail français est-il encore un droit de protection des salariés? 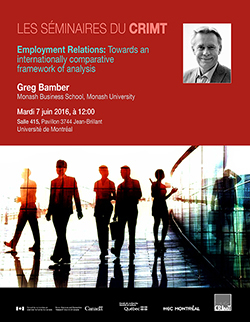 This seminar was held at Université Laval. 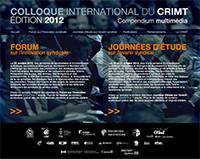 Click on image (on the right) to watch the conference (In French). (Still) thinking about social regulation (negotiation), 50 years after Walton and McKersie and Allan Flanders, 30 years after Howard Raiffa and Bill Zartman: is it useful? Yes, because it establishes a rational-negotiated (and more efficient) model of decision-making at a time when traditional hierarchical institutions are in decline, the demands for employees to participate in decisions concerning their lives and work are increasing and it is becoming urgent to rethink work and its institutions in light of new social regulations which bring about new and more intense arrangements. We must, therefore, think about this (negotiated) re-written landscape of how we live together within the business organization. What theoretical tools do we apply? To achieve what kind of changes? How do we equip the actors? 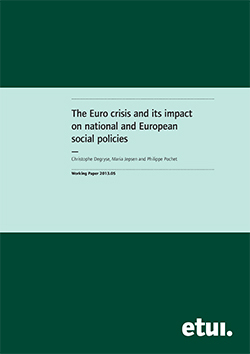 Christian Thuderoz and Reynauld Bourque, both CRIMT co-researchers, are the authors of Sociologie de la négociation (2011), published by Presses Universitaires de Rennes. This seminar was held at University of Montreal. Douze chercheurs du CRIMT sont assis dans un restaurant à Bruxelles. Le plat est unique. Six veulent manger un waterzooï, six autres un gratin de chicons. Gregor Murray est en Chine. Que décident-ils ? Judiciarisation ou juridicisation du travail en France ? The German Labour Marker After The Financial Crisis: Miracle or just good policy mix? 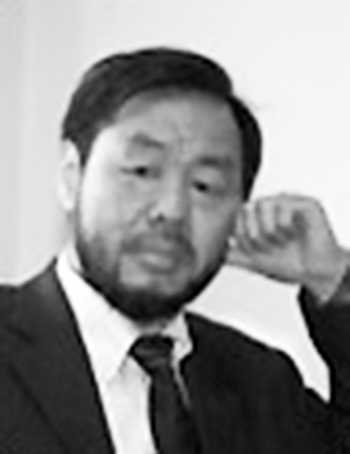 Is There a Crisis of Labour Law?